Vegan Christmas cookies (that are also egg free) are perfect to bake for a holiday cookie exchange. We’re sharing our BEST Christmas cookie recipes for vegans so that everyone can enjoy the holiday baking and cookie exchange festivities! 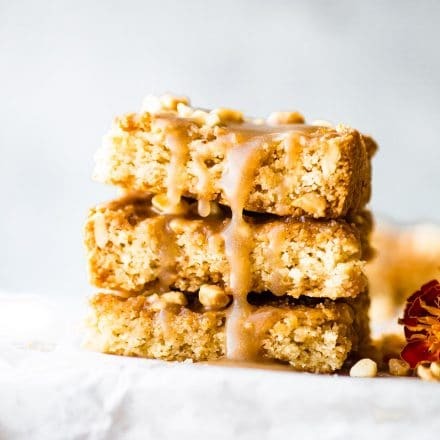 Be sure to add these to your collection of vegan Christmas recipes. 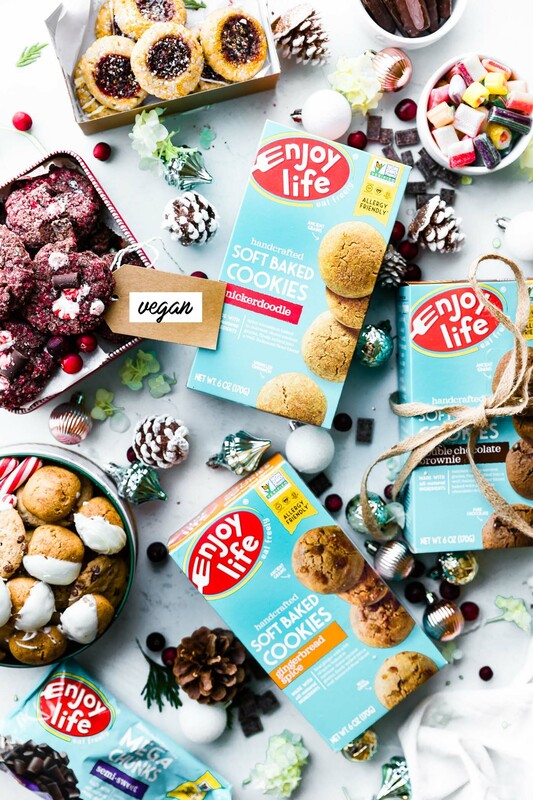 This Vegan Christmas Cookies for your Cookie Exchange post is sponsored by the good people at Enjoy Life Foods. Thank you for supporting the brands that help keep the healthy recipes cranking out of the Cotter Crunch kitchen. 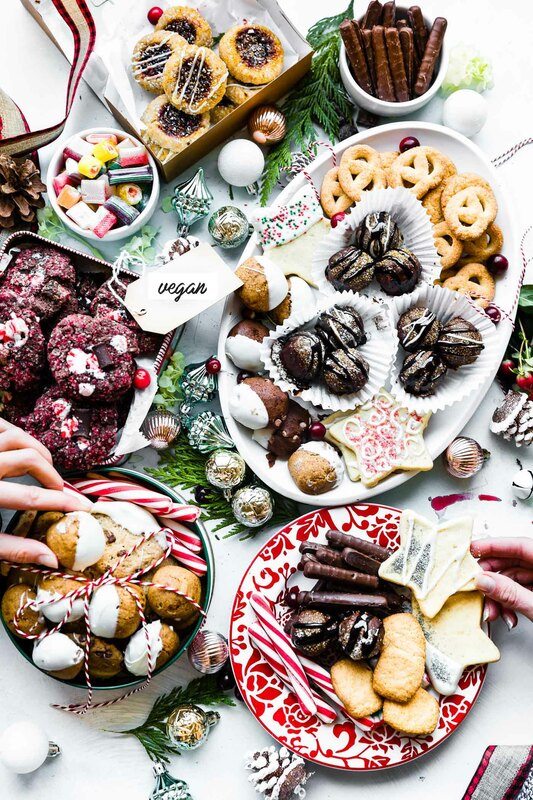 Have you ever attended or hosted a Christmas cookie exchange? Ya’ll, they are SO much festive holiday fun! Picture this: a huge room filled with the best Christmas cookies, all baked with love! Friends gathered, chocolate and ginger and cinnamon fill the air. It’s basically cozy goodness wrapped up in a gathering/party. You feel me? But if you want the “real” definition, just read below. Mmmm k? What is a cookie exchange? A cookie exchange is one of the easiest ways to celebrate the holidays with a group of friends. 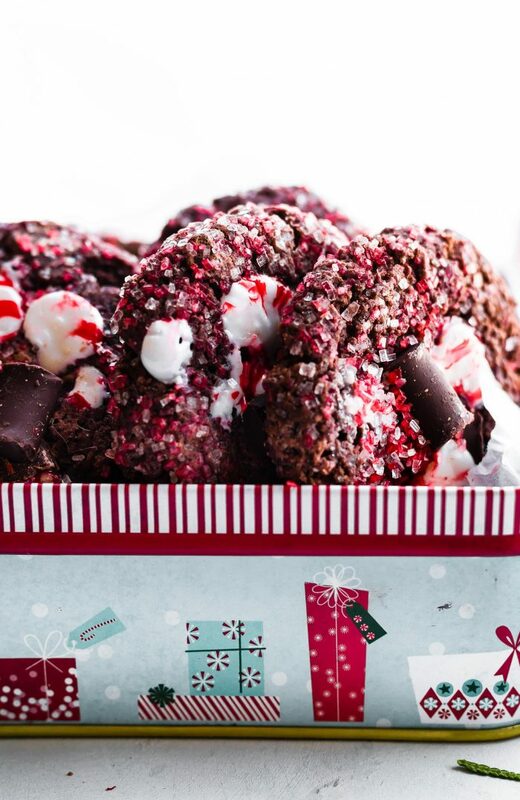 The best part is, cookie swaps don’t require a lot of planning like many holiday parties do. Each person attending brings one variety of homemade cookies. The host usually coordinates to make sure that there are no duplicates. Most often, the arrangement is to bake a dozen cookies for each guest, but that isn’t a hard set rule. If there are a lot of people attending the party, everyone can agree to bring a half dozen or even just one cookie per guest. The batches of cookies are packaged into individual bags, with the Christmas cookie recipe attached. The bags of cookies are swapped, so when you leave the party, you will have the same amount of cookies you originally baked, but a variety of different cookies! You will be stocked with delicious cookies to last you through the holidays. Merrymaking FUN and tasty, right?! Corny Cotter approved! But not everyone who attends a cookie exchange is vegan or gluten free. What do you do then? EASY! You throw your own cookie exchange... with everyone bringing Vegan Christmas cookies to share! 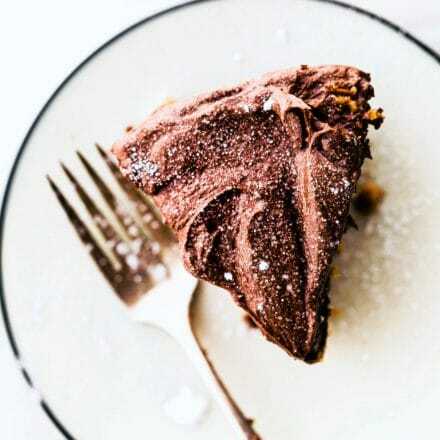 This can be done and it’s WAY easier than you think, and DELICIOUS! Enjoy Life Foods gets into the egg free and vegan Christmas cookies spirit, too! I used their ready to eat, egg free and vegan Christmas cookies in a delicious spread of holiday cookies! All their cookies are No baking required. Just a few extra dips in chocolate (their meltable baking chocolate) and those cookies are Christmas ready! Enjoy life Foods Cookies are loaded with enough flavor to trick anyone into thinking they’re homemade. THey are certified vegan, gluten free, soy free, egg free, and nut free! Crispy Chocolate Chip Cookies or the soft baked chocolate chip! As mentioned above, there are several ways to use there allergy friendly vegan cookies to create an easy and DELIGHTFUL Vegan Christmas Cookie Platter! Melt Enjoy Life Foods dark chocolate chips and dip gluten free pretzels in it. OMG so easy and good! 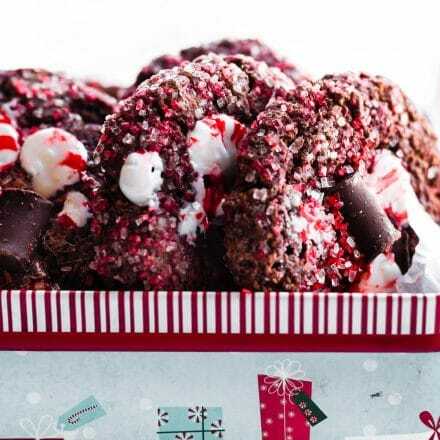 You can also dip half of their brownie cookies in the melted dark chocolate and then coat with crushed peppermints! 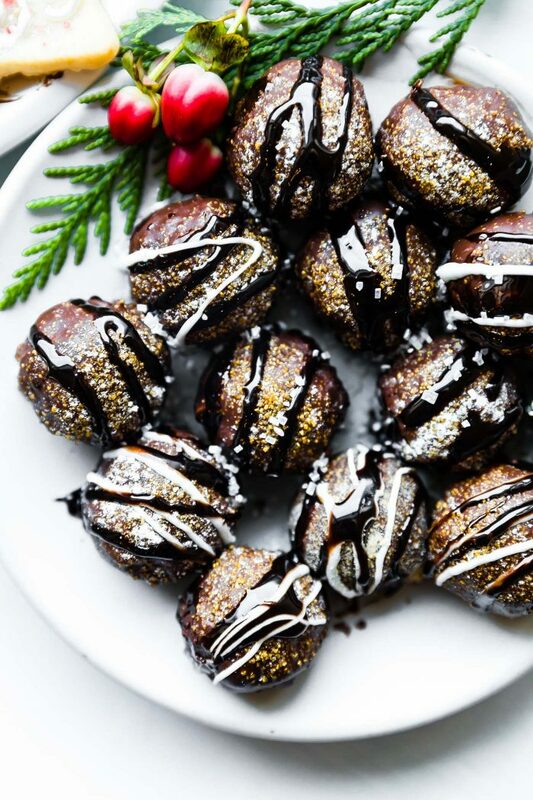 Use Enjoy Life Foods Double Brownie cookies to make Chocolate Pretzel Cookie Truffles – Just ground the cookies and combine with crushed pretzels (Gluten free), nut butter or sunflower seed butter, roll into balls and coat with their dark chocolate, melted. Don’t worry, no baking required! And the full recipe is a bonus this week. Check it out the next post or link above! How do you make cookies without eggs? It’s easy to make vegan and egg free cookies – you just need substitutes for the dairy products and the eggs. 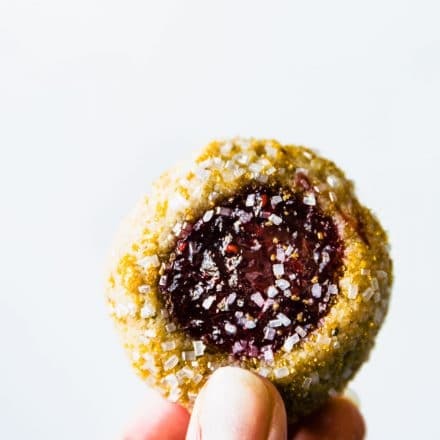 Depending on the recipe you want to make, the egg substitute might be a chia egg or flax egg, To make vegan cookies, use a nut or rice milk to replace cow’s milk in the recipe, or use coconut oil or avocado instead of butter. Now the question remains. Which one will you choose to keep for yourself? Okay maybe 2 different kinds you can keep. I won’t tell! Be on the lookout this week as we share all our the best Christmas Cookies (vegan and/or egg free) on Instagram and Instagram stories! K? We are thankful for the allergy friendly cookies and chocolate that Enjoy Life Foods provides. 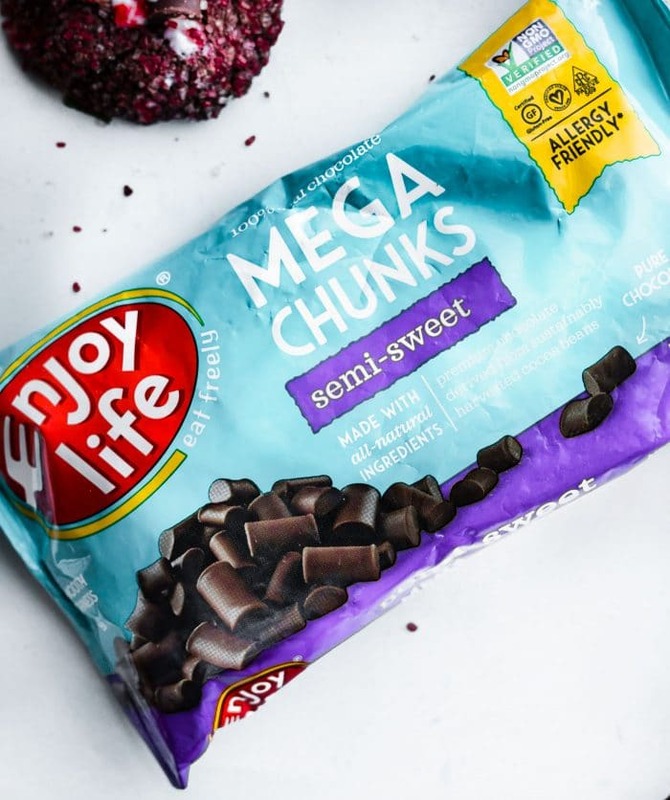 Keep up with the Enjoy Life Foods on social media. Facebook, Twitter, Instagram, Pinterest. They are full of recipe inspiration! These are some epic cookies! I would be happy with any of the above! These all look wonderful. I love vegan cookies!! You have such a way of making anything vegan look absolutely awesome! I love the sound of these. There is nothing like cookie season! 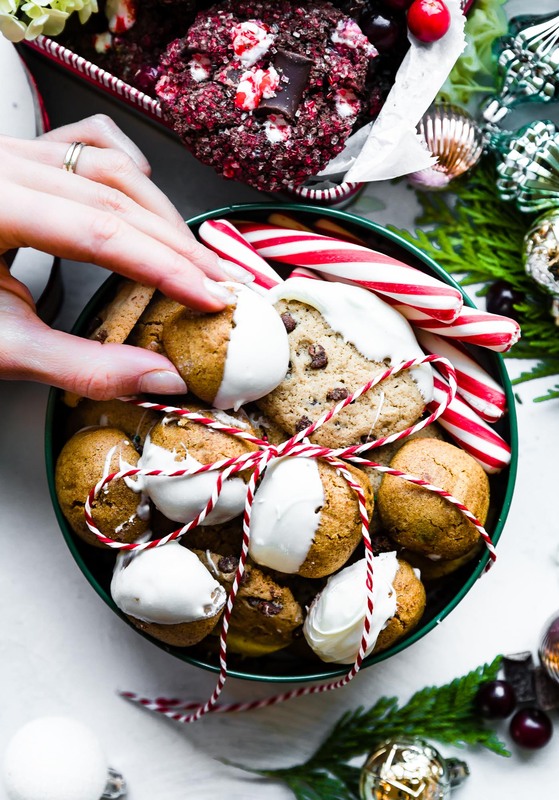 What a fun idea for a cookie exchange! YES, Christmas cookies! I don’t have a favorite–I love them all! However, snickerdoodles are definitely the first one I reach for and the most iconic seasonal Christmas flavor for me, personally, but I ADORE gingerbread, hot cocoa, sugar cookie, cinnamon roll, pumpkin, apple spice, and peppermint just as much. I haven’t tried Enjoy Life cookies in a while–heck, I don’t even remember which kind of Enjoy Life cookie I tried last time! Anyways, this idea of a vegan cookie exchange will prompt me to try them all. It’ll be FANTASTIC. Might as well buy a carton of vegan eggnog or flax milk because there’ll be a LOT of cookie-dipping! Haha yes, snickerdoodles are my fav too! Agreed! These cookies are absolutely beautiful!! 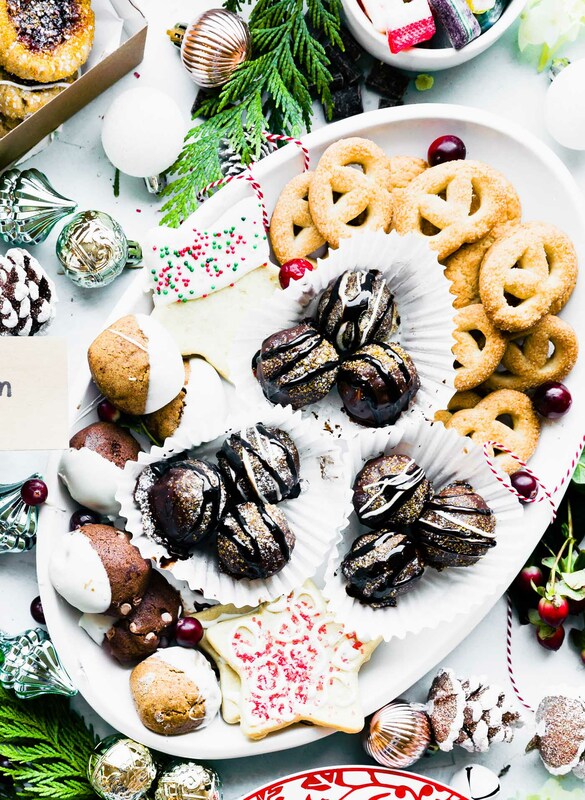 I’m hosting a cookie exchange this weekend — LOVE all the inspiration here! Also I just bought two of the Enjoy life brand cookies for Ave. That was her request from my grocery list. you’re the mega rockstar. granola jailrock… star !